This therapy/activity table provides the simplest, smoothest height adjustment available. A counter balance system allows the table to "float" up and down, offering you the perfect work height for every situation, with no compromises. Once you've found the right height, an easy-to-reach knob securely locks the tabletop in place until you're ready to adjust it again. 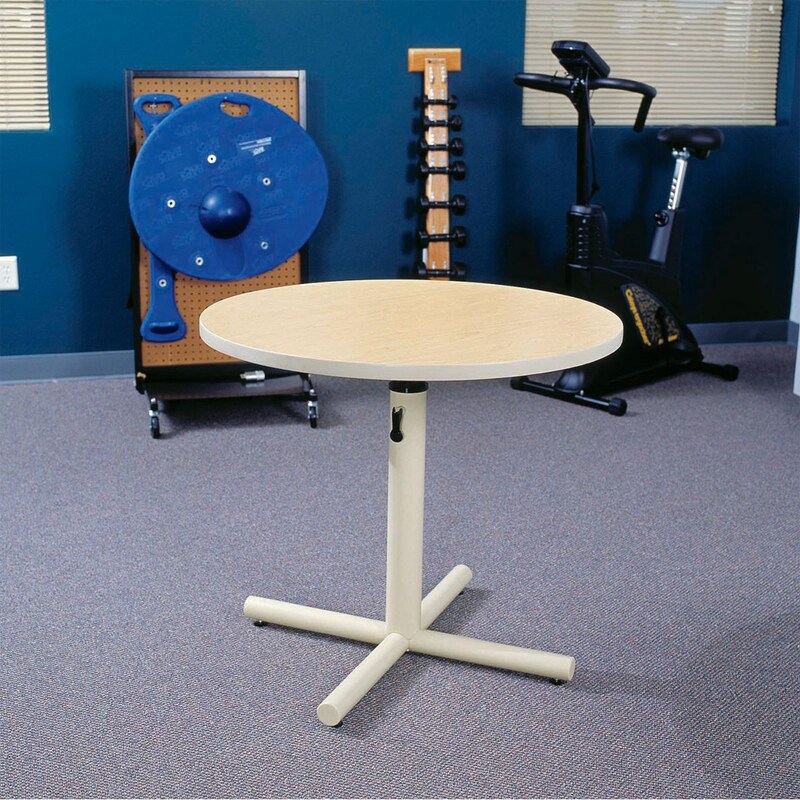 The 36-inch diameter table adjusts along a vertical range of 24-36 inches, and is designed to seat people on all sides. The pedestal and base are powder-coated steel for years of durability. Other features include a 1-1/8" thick durable laminate top, heavy T-molding edge treatment, powder-coated heavy gauge steel frame, advanced lever-operated lift system with gas spring-assist adjustment and floor levelers. Two-Year Warranty.